Please allow 10 days for your order to arrive. We store our products all over the world, in multiple fulfillment facilities to bring you epic offers and the lowest prices. This means sometimes you have to wait a little longer to get your order but it's always worth it! Returns are easy, simply contact us for a return authorization number and send your item to our returns center for fast processing. We'll get you a replacement or refund in a snap! Ordering from MajesticVue is 100% safe and secure so you can rest easy. Your personal details are never shared, sold or rented to anyone. Wrap a piece of string or paper around your wrist. Mark the string or paper where it overlaps to form a complete circle around your wrist. Measure the length of the marked section of string or paper on a ruler or measuring stick, whatever you have handy. Compare your measurement with this chart to determine your bracelet size. Wrap a piece of string or paper around the base of your finger. Mark the string or paper where it overlaps to form a complete circle around your finger. Measure the length of the marked section of string or paper on a ruler or measuring stick, whatever you have handy. 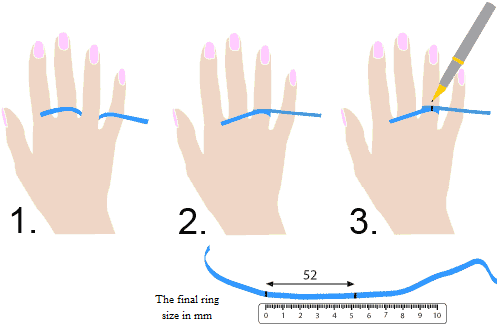 Compare your measurement with this chart to determine your ring size. *If you are in between sizes, size up. MV has literally been my go to shop for all my jewelry needs. They've always got the hottest pieces in stock. I've been shopping at MajesticVue for over a year now. You can tell their quality is above their competitors, speaking from experience. I bought a few pieces for my husband and I can't tell you how excited he was. The jewelry was really high quality and their shipping times are fast. Unhappy With Your Product? We'll Exchange or Refund You For Another One! Become a MajesticVue Insider and get 10% off your order today. Plus we'll keep you up-to-date with the latest products and deals. © 2019 MAJESTICVUE. All rights reserved. Purchased a 18mm, 24K GOLD MAJESTIC CHAIN. Purchased a 18K GOLD, MAJESTIC RUBY RING. Purchased a 12mm, 24K GOLD MAJESTIC SET. Purchased a 18K GOLD, BLOOD RUBY. Purchased a STERLING SILVER 925, VIP MAJESTIC EARRINGS. Purchased a 15mm, 14K GOLD CUBE SET. Purchased a 18K GOLD, BE MAJESTIC. Purchased a 3-5mm, 18K GOLD TENNIS NECKLACE. Purchased a 6mm, GOLD TENNIS NECKLACE. Purchased a 18mm, GOLD MAJESTIC BRACELET. Purchased a 18K GOLD, CUBE TAG. Purchased a 18K GOLD, CUBAN RING. Purchased a 18K GOLD, 2x TENNIS CROSS. Purchased a 3-5mm, SINGLE ROW TENNIS BRACELET. Purchased a 18K GOLD, GODFATHER RING. Purchased a 18K GOLD, MV TAG. Purchased a 18K GOLD, NAIL CROSS. Purchased a 18K GOLD, 2x TENNIS ANKH. Purchased a 18K GOLD MAJESTIC SOLID CHAIN. Purchased a 18K GOLD, 2x TENNIS NAIL CROSS. Purchased a 12mm, GUCCI LINK BRACELET. Purchased a 6mm, 18K GOLD TENNIS SET. Purchased a 12mm, 18K WHITE GOLD MAJESTIC CUBAN. Purchased a 8mm - TENNIS BRACELET. Purchased a 18K GOLD, ANKH 100. Purchased a 6mm, WHITE GOLD TENNIS NECKLACE. Purchased a 12mm, 18K MAJESTIC CHAIN. Purchased a 18K GOLD, CROSS. Purchased a 15mm, 24K GOLD MAJESTIC LINK. Purchased a 18K GOLD, STAR RING. 2) be kept in the loop about the latest products and deals.